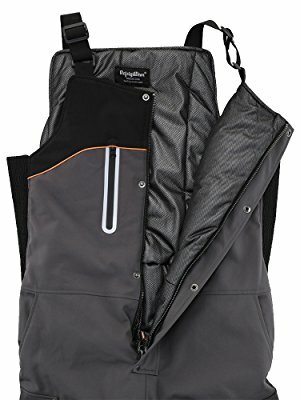 These insulated bibs were made for moving. Kneel, bend, twist, reach, stretch – with Performance-Flex and abrasion-resistance, you won’t be held back from peak performance. 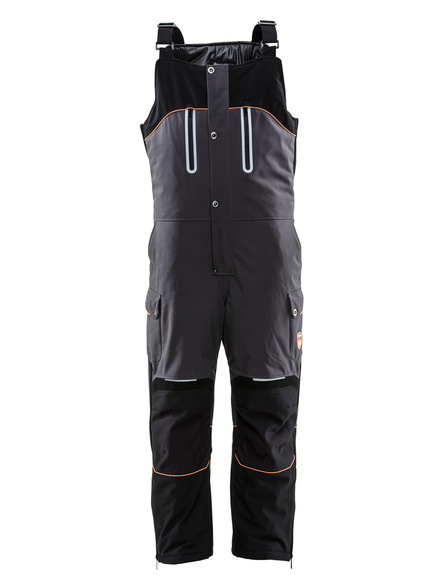 The PolarForce Bib Overalls give you freedom of movement to perform at the highest levels, earn the MVP award and get home safe – all while being protected from the cold and looking good to boot. Dig a ditch. Manage inventory. Unload a shipment. Mend the fence. 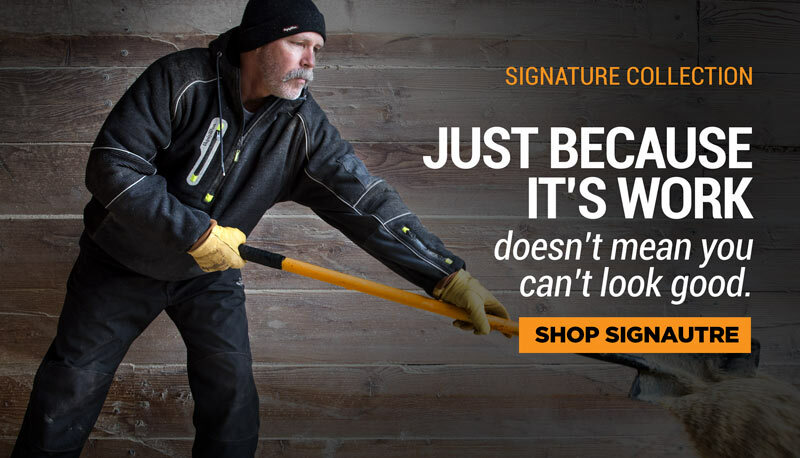 Whatever items your cold weather work to-do list has, you can check them off with the PolarForce™ Collection. Comfort-rated to -40 degrees Fahrenheit, the PolarForce Bib’s outershell, insulation and reflective lining combine to ensure you stay warm in the coldest and most extreme conditions. Softshell materials are stretchier and less bulky, meaning you get a higher level of flexibility than in other garments, like those lined with down or packed with synthetics. 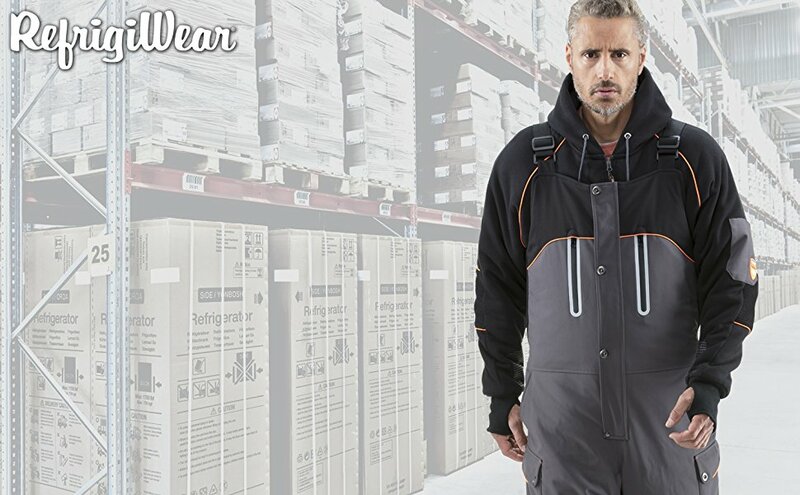 Softshell materials also make it possible to create a more form fitting garment since the outershell adds to the total insulation of the garment without adding the bulk of more internal insulation. Softshell clothing is great for demanding activities where a highly breathable, water-resistant piece of clothing can keep the wearer warm, dry and active. The softshell material allows perspiration to evaporate and keeps you dry, so sweat doesn’t affect your warmth. It is especially good for activities where your heart rate will be elevated like hiking or doing tough outdoor jobs in cooler weather. Heat reflective silver lining adds additional warmth by reflecting heat back onto the body. 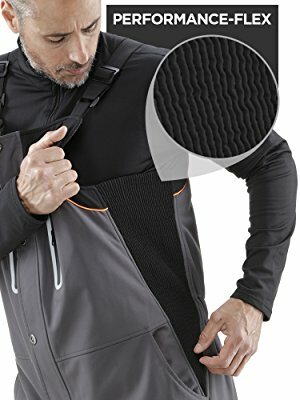 Performance-Flex, RefrigiWear’s unique flexibility system, keeps your performance and productivity high. Often with bibs and overalls designed to protect in extreme subzero temperatures you end up with bulky clothing that hinders movement, and therefore performance. Performance-Flex expands and remains flexible as you move, so the PolarForce Bib moves with you no matter the job or activity you are tackling. Performance-Flex is located at key mobility points – knees and side-waist – to make sure you can accomplish what you need to and still stay protected. Built to stand up to everyday wear and tear, the PolarForce Bib features reinforcement patches along the entire bottom of the pant leg. These patches are designed to fight friction, so the bib won’t wear down when worn with boots for long periods. 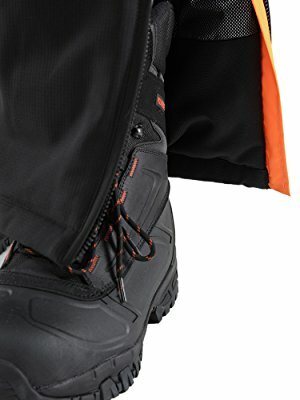 The zippers on each leg make access to base layers and boots easy, as well as getting the garment on and off easier. 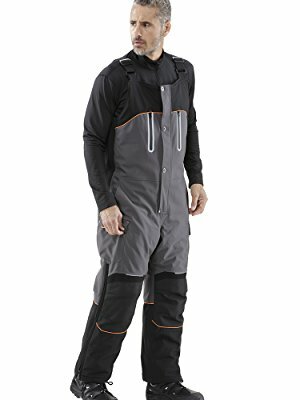 The storm-flaps covering the leg and chest zippers helps you fight against drafts and the added cold they can bring.